Belle Gibson convinced the world she had healed herself of terminal brain cancer by eating a healthy diet. She built a global business based on her story. There was just one problem: she never had cancer in the first place. In 2015, journalists uncovered the truth behind Gibson's lies. This hero of the wellness world, with over 200,000 followers, international book deals, and a best-selling mobile app, was a fraud. She had lied about having cancer - to her family and friends, to her business partners and publishers, and to the hundreds of thousands of people who were inspired by her, including real cancer survivors. Written by the two journalists who uncovered the details of Gibson's deception, The Woman Who Fooled the World tracks the 23-year-old's rise to fame and fall from grace. 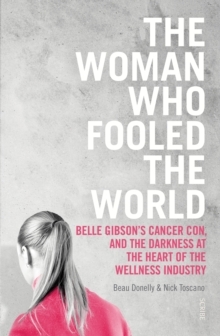 Told through interviews with the people who know her best, it explores the lure of alternative cancer treatments, exposes the darkness at the heart of the wellness and `clean eating' movements, and reveals just how easy it is to manipulate people on social media. 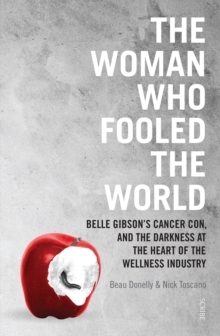 With the idea of `clean eating' now routinely debunked by dietary experts, and growing scepticism about the authenticity of what we read online, The Woman Who Fooled the World is a timely and important book that answers not just how, but why, Gibson was able to fool so many.